Connecticut State Statutes §12-62 (b) mandates that all the real estate in each of Connecticut's municipalities shall be revalued not later than five years after the last revaluation. 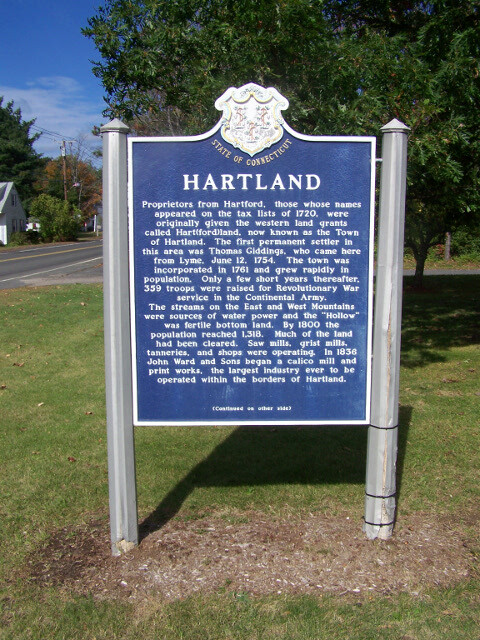 Hartland completed a revaluation of all real property effective on the October 2015 Grand List. A copy of the real estate descriptive data and assessments are available for public access in the Assessor's Office. Copies of the Assessor's maps are available upon request through the Assessor's Office. The next town-wide revaluation of real estate is scheduled for October 2020. Connecticut State Statutes §12-62 (a) mandates that all real estate is assessed at the uniform rate of seventy (70) percent of current actual value, as determined under section §12-63. If you feel your assessment is not accurate, the first step would be to contact the Assessor's office to insure that the property descriptive data is correct. If this does not resolve the issue, then you may present your argument before the Board of Assessment Appeals (BAA). The BAA convenes in March of each year. An application for an appointment to appear before the Board must be made in writing after January 1 and prior to February 18. During these hearings, the Board hears arguments for all types of taxable property and is by appointment only.